The sun shone on West Barns on Friday and both events were a great success. Sports Day included an interesting addition of a parents’ egg & spoon race! The sale of refreshments raised £165 towards the Playground Fund. A few hours later we were back on the playing fields! The rain held off and we were able to enjoy the view, the company and the queue for burgers!! A fantastic £210 was raised, which again will go towards the Playground Fund. Thanks to everyone that helped in any way. It was certainly a very busy day but a great day to be part of West Barns Primary School. Have a great holiday and see you next year for some more fun events. A reminder to parents that Sports Day takes place on Friday 24th June in the morning. Come along and support your child and house. West Barns Parent Council will be providing cakes and refreshments at the event. The BBQ takes place from 6.00pm. Come along and have a relaxing time with someone else doing the cooking. The weather for Friday is sunny so we should have a great time at both events. As you will be aware West Barns Parent Council/School BBQ takes place on Friday. The signs are that the weather on Friday will be sunny and dry, so the BBQ will be taking place outdoors near the Nursery Area. In the unlikely event of rain on Friday we will still be holding the BBQ. We thank Belhaven School for the generous use of their school charcoal BBQ. As you know and weather permitting the above fun filled events are due to be held on Friday 24th June. Sports Day – The Parent Council will be selling teas and coffees, home baking as well as juice and crisps. Your generous donations of home baking will be warmly received – you can bring them along on the day or hand them into the office on Thursday. Please come along and cheer the pupils on. BBQ – Proving to be a very popular event. For a small fee you can enjoy burgers, sausages, strawberries and scones. There will also be juices for the children. This event is not licensed but you are welcome to bring your own. There will also be a raffle and again your generous donations are requested. They can be handed into the office or brought along on the night. Please come along and hopefully enjoy the sun! 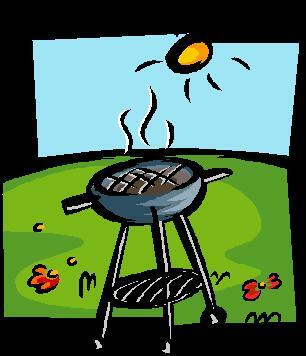 If you wish to help at the BBQ please speak to any member of the Parent Council. All monies raised will go towards West Barns Playground Fund. Thursday night certainly was a fantastic foodie night! Despite the small number there, it really was a very enjoyable night and around £200 was raised towards the Playground Fund. Thanks to Alex and George, Katie and Katriona for their support and contributions in making it happen and we hope to hold another foodie themed night sometime in the future. Remember to come along on Thursday 9th at 7.30pm for a fantastic foodie night. An international food quiz and raffle prizes.